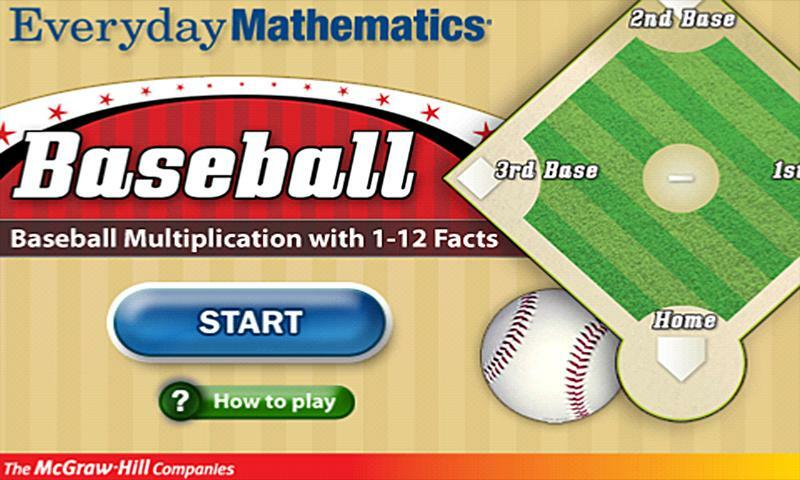 Multiplication baseball, or math baseball, are baseball-based flash video games designed to help kids master correctly manipulating numbers. Some of these games allow you to play an opponent. In that mode the player who scores the most runs in their half-inning will be declared the winner. Multiplication baseball also offers up different question styles. The player can go with the classic style (2 + 2 = X) or algebra style (2 + X = 4.) The algebra option works to get a burgeoning math whiz away from just rote memorization of his multiplication tables and instead forces him to think about why math equations result in the answers that they do. Actually you don’t even need a computer of any kind to play multiplication or math baseball. You also have the option of kicking it old school and playing the board game version. To do this, you draw up an infield baseball diamond and then use game pieces (they could be baseball bobbleheads) as base runners. 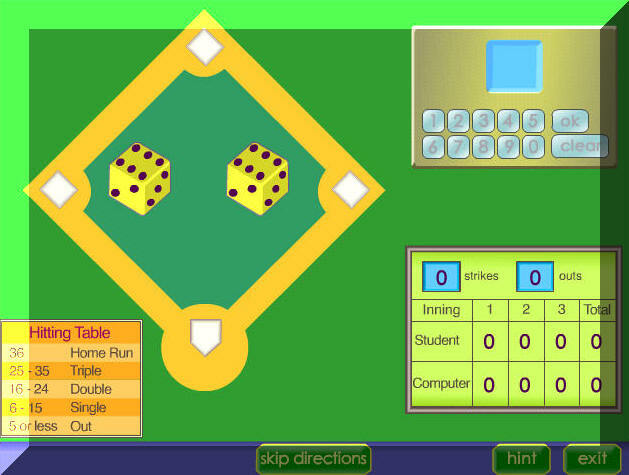 The pitcher roles two six-sided dices and then the batter has to multiply the two numbers together. You pre-determine what values equal what kind of hits — for example 36 (6 X 6) could be a home run 26- 35 a triple, 16- 25 a double etc. And, of course, a missed question equals an out. If you want to make the game more difficult you can use twelve-sided dice. 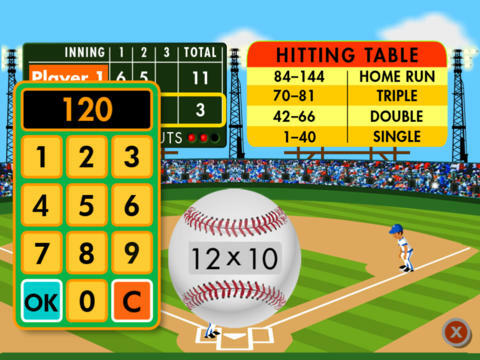 As you can see, baseball can be used to teach kids math. 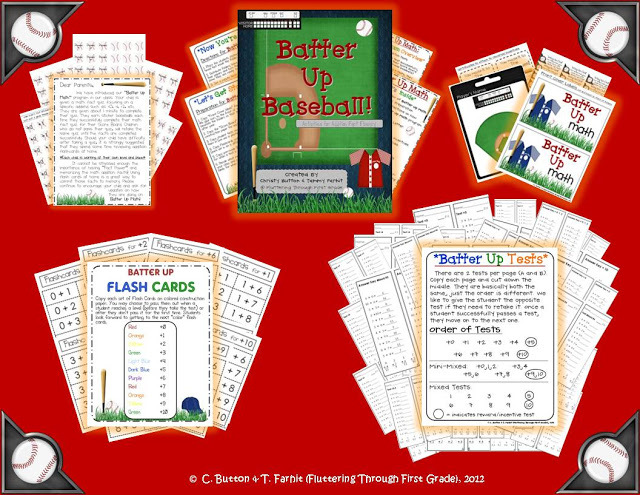 And when kids grow up with a love of baseball and an understanding of numbers this will lead to even more learning, as young baseball fans will apply math to figure out statistics like batting average and slugging percentage. Then, when the young baseball fan gets a little older, he will be exposed to sabermetrics which will force him to ruminate on (and potentially enjoy) very advanced mathematical principles. For these reasons, the union of baseball and math is a grand slam.